Confused by the Food Label? Do you know what to look for to make a healthful choice for you and your family? Look no further! Check out these quick tips from FEED on how to sort the MYTHS from the (nutrition) FACTS. What is the first thing to look for when choosing foods on the grocery store shelves? Turn the package around. Rather than looking at the messaging on the FRONT, always check the INGREDIENTS on the back. Know what is in your food. Good choices ONLY contain ingredients that we can recognize and know where they are derived. Confused what a word means? Put the package down and look for another comparable product! What else is important to look at when choosing packaged food products? Look at total calories PER SERVING. Serving sizes vary, thus it is important to estimate how many servings you are actually eating. You don’t need to measure your food each time. However, get an idea if the quantity you are consuming is close to the suggested serving. This is one of the most common misconceptions on the food label. Under “Total Carbohydrate” the word “Sugars” reflects the natural sugar in the product. This could come from fruit, milk (lactose) or actual sugar. However, this word “Sugars” doesn’t differentiate at this time between natural and added sugars. Therefore, once again, it is important to look at the ACTUAL INGREDIENTS in the product. If you see the words sugar, or organic sugar, or brown rice syrup, etc., these are all added sugars and should be consumed in moderation. 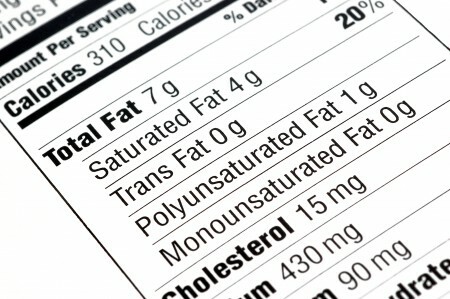 How is the Nutrition Facts Label Changing? it will be pretty clear that you shouldn’t eat the entire sleeve of Oreo cookies, but rather share them with EIGHTEEN of your friends! No more squinting to learn how many calories are in your foods. This will be the largest number visible on the label. Considering sugar is a major focus of consumer concern, rather than the TOTAL amount of sugar in a product (including natural sugar from fruit, milk, and added sugar), the updated label will specify ADDED SUGAR. Quick tip: each 5 g of sugar = 1 teaspoon, thus do the quick math to understand how many teaspoons of added sugar lurk in your food! Kids ages 9-13 need 1300 mg of calcium/day. So, if you see your yogurt only contains 400 mg, it may become a bit more obvious that it is important to include other sources of calcium-containing foods in their diet each day.